Bus transfers: Our buses with driver will lead you anywhere in Rhineland-Palatinate. Bus transfers for congresses and business trips are part of our services along with any kind of tourist travel. Whether you need a ride in Koblenz, Mainz or Treves, a transfer from or to the Frankfurt-Hahn, Zweibrucken or the bordering airports, our buses will pick you up and drive you anywhere you want. We warrant the most reliable and comfortable buses. Germany Bus and its partners in Rhineland-Palatinate will be happy to count you as one of our dear customers. Sightseeing tours: Rhineland-Palatinate counts many buildings and monuments that explains the high number of combination of possible itineraries. In any case, we will provide you with the most suitable bus for your sightseeing tours. Germany Bus rental platform makes available the most experienced drivers for your tours in Koblenz, Mainz, Speyer, Worms and everywhere in Rhineland-Palatinate. If you wish to have recourse to our tourist services for the setting up of your tourist trails, we will gladly advise you on the recommended spots or will make available local competent guides. Excursions by bus: From the Kastellaun fortified castle, the Bürresheim castle, to the Reichsburg castle in Cochem, the Pfalzgrafenstein castle or the Thurant and Marksburg fortified castles, the Rhineland-Palatinate is teeming with must-sees. Whether you prefer sailing along the Rhine, marvel at the Lorelei Rock, or fancy a more complex combination of multi-destination excursion by bus with a hike to the Hunsruck mountain range, Germany Bus will rent the perfect bus for your excursion across Rhineland-Palatinate. Thanks to our wide network of partners in the tourist and cultural sectors, we are able to provide with numerous other tourist facilities in addition to the basics. We can for example hire local tour guides, order special menus and arrange for group rates. Travels by bus: For all of those who want to be more acquainted with Rhineland-Palatinate, Germany Bus organizes personalized travels by bus within the region. It is also possible to travel by bus to other German Lands as well as to Austria, Switzerland, Liechtenstein, Benelux, Denmark, Poland and the rest of Europe. Whether your trip starts from or leads to Rhineland-Palatinate, Germany Bus will be happy to provide you with the optimum bus considering your travelling projects. The tour operator City Tours is also at your disposal for any other kind of tourist service relating to your travels. Rheinland-Pfalz Bus: here, you can find charter buses for any chauffeur-driven coach rental in Mainz, Ludwigshafen, Koblenz, Trier, Kaiserslautern, Worms, Neuwied, Neustadt, Speyer, Frankenthal, and all other cities in Rhineland-Palatinate. Rent buses in Mainz: charter buses with driver for transfers from and to Mainz, for sightseeing tours and excursions within Rhineland-Palatinate or for coach journeys across Germany, France, Switzerland and entire Europe. Worms Bus: through Worms Bus platform, it is possible to rent buses for sightseeing tours and excursions within Germany as well as to Luxemburg, Belgium, Holland and France. Trier rent a coach: at this coach rental company, you can charter a bus for a transfer in Trier, a tour to Rhineland-Palatinate, a journey to Luxemburg, Belgium or France as well as for long-distance bus travel itineraries anywhere in Germany and Europe. 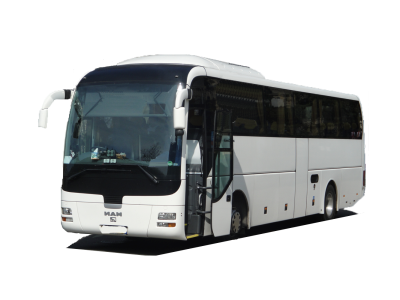 Koblenz bus hire: the coach company "Koblenz Mietbus" proposes to provide you with a quotation for any kind of bus hire in Koblenz, Rhineland-Palatinate and Germany - as well as for bus travel itineraries to all destinations in Europe. Speyer charter buses: in co-operation with bus companies from entire Rhineland-Palatinate and its neighbouring Regions in Germany, Luxemburg and France, this coach rental platform can deploy charter buses with driver for your personal transportation needs in Germany and entire Europe. Ludwigshafen Bus: should you be looking to hire a bus in Ludwigshafen, this company is waiting for your coach hire request and can make you a quick quotation for bus hire in Rhineland-Palatinate as well as in Saarland, North-Rhine Westphalia and all other regions of Germany.
. Our team is waiting for your request and will be delighted to find the most appropriate shuttle or bus with driver for your trips, tourist visits, excursions or transfers anywhere in Rhineland-Palatine!